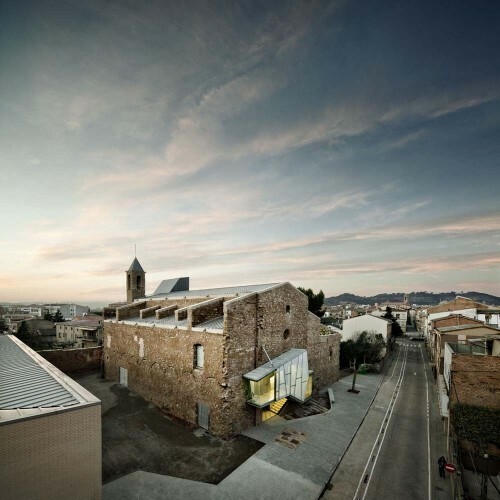 The intervention in the church of the convent of Sant Francesc, located in the Catalan town of Santpedor, was meant to convert the building into a cultural facility. The two phases implemented have allowed the building to be put to use as an auditorium and multipurpose cultural space. It is expected that in the future, a third stage will allow the upper floors of the chapels (on the south side of the church) to be used as a historical archive. The convent complex of Sant Francesc was built in the eighteenth century by Franciscan priests. The convent, which includes the renovated Church, was built between 1721 and 1729. The complex was used as a convent until 1835. In 2000 the convent, by then in ruins, was demolished by the state. Only the church and part of the perimeter wall of the convent remained standing, although in very poor condition. The renovation of the church occurred in 2003. 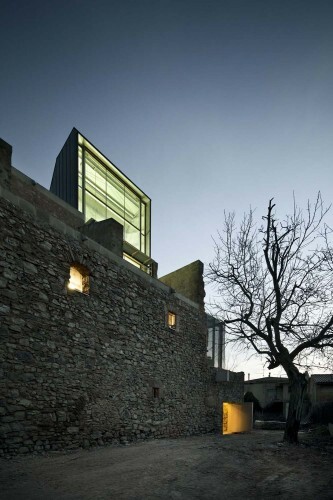 The building had never been isolated, but an inextricable part of the whole convent complex. In fact, the existing upper floors of the side chapels of the church were units that could only be accessed from the first floor of the convent, but not from the church itself. With the demolition of the convent, the church, which originally only had two walls, went on to have four. The church, due to its very modest construction quality, was in ruins. It bears noting that the roof had sunk, the choir had disappeared, and the vaults of the nave and chapels had partially fallen. The church, from the outside, was only interesting from a historical perspective. The interior of the church, however, showed – despite its dilapidated state – remarkable spatial qualities. Thanks to the sinking roof and crumbling ceiling, the church was surprisingly enhanced by large inflows of natural light. The interior of the church, which originally received virtually no natural light whatsoever, took on a majestic air in the light. 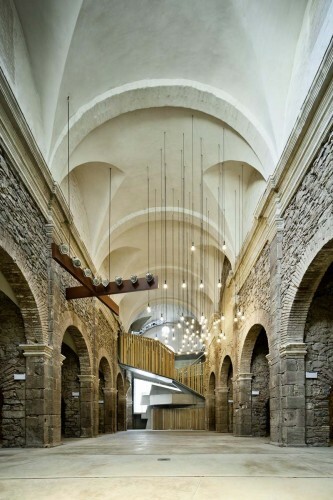 The premise of the project intervention was to maintain the size and spatial quality of the nave of the church as well as the important inputs of natural light. Attempting to maintain light inputs at different points led us to propose different solutions: a large skylight on the north side of the apse, a skylight with views of the belfry from the inside of the nave, an open main chapel, and a cut in the roof right at the beginning of the nave to ensure light would reach the inside of the entrance wall. 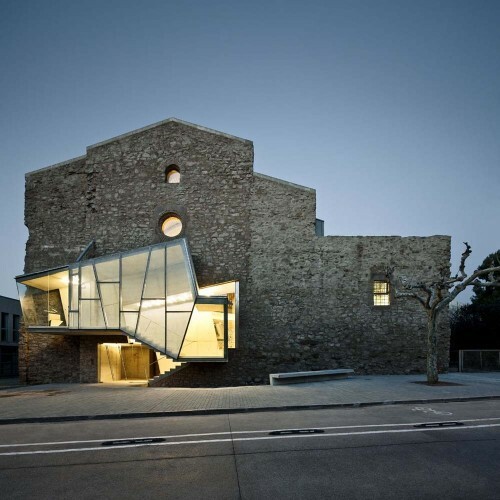 The renovation of the building has been developed with the goal of differentiating the new elements constructed (using contemporary construction systems and languages) from the original elements of this historical church. 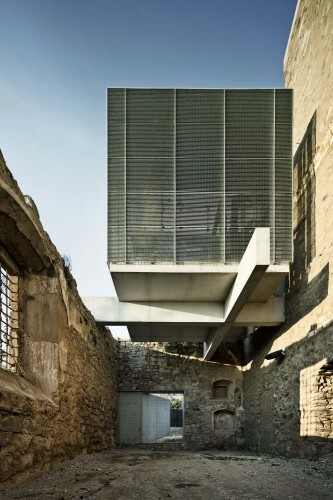 With the aim of preserving all aspects of the building's past, the intervention has not hidden traces, wounds or scars. Thus, they have remained visible depressions, holes where the altarpieces once were, traces of missing elements. Another challenge was to maintain the unity and dimension of the nave of the church, even with new volumes for uses and requirements the church had never had before: stairs to climb to the upper floors, toilets, and equipment rooms. To preserve the sense of space and unity inside the church, these volumes have been located, in part, outside the building or have been placed inside in a way which maintains the vision of unified space, in both the nave and the main chapel. 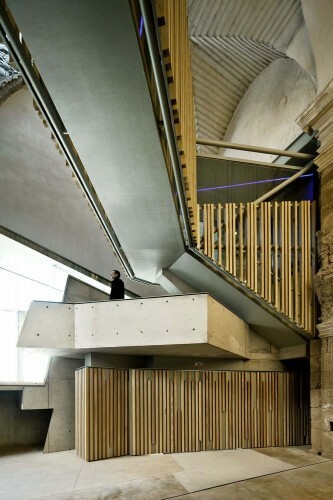 The set of stairs and ramps built, apart from ensuring access to the upper floors of the church, also define a circular path that runs throughout the whole building, much like a museum's. This circular route allows you to trace back and revisit the church as a whole, from distinct points of view. The construction and the building methods used have sought to strengthen the church without deleting the signs of deterioration the building has suffered. 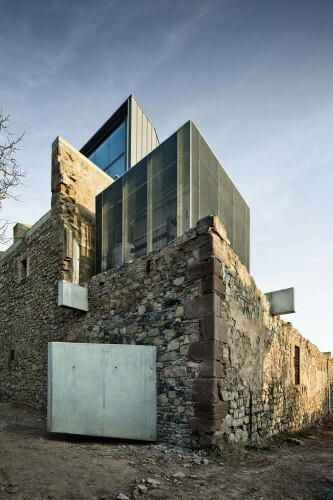 The intervention has sought to preserve the building's historic legacy by adding new valuesthat enhance it and give this ancient convent a unique, contemporary form.